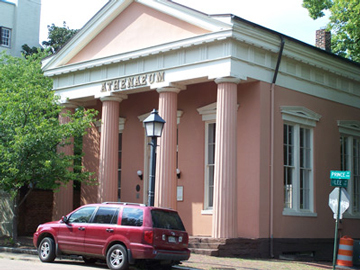 The prime example of Alexandria's Greek revival architecture, this building was originally built as a bank about 1850. It is now the gallery of the Northern Virginia Fine Arts Association. Although no fee is charged, donations are accepted. The gallery is closed from mid-November until just after Easter.